Getting a quality family vehicle can pose quite a few challenges. You need enough space for everyone, plus excellent safety, practical conveniences, and some comforts. Because both are large, many shoppers will compare the 2017 Ford Expedition vs the 2017 Toyota Sequoia. While they share many similarities, some key differences will help you sort out which is best. If having maximum power on hand matters to you, that's something you'll want to focus when looking at the Expedition vs Sequoia. All Ford Expedition models use a 3.5-liter Ecoboost V-6. While it's not the traditional engine for a large SUV, the combination of turbocharging and direct injection helps squeeze out 365 horsepower and 420 lb.-ft. of torque. That's more than what you get with the 5.7-liter V-8 in the Toyota Sequoia. 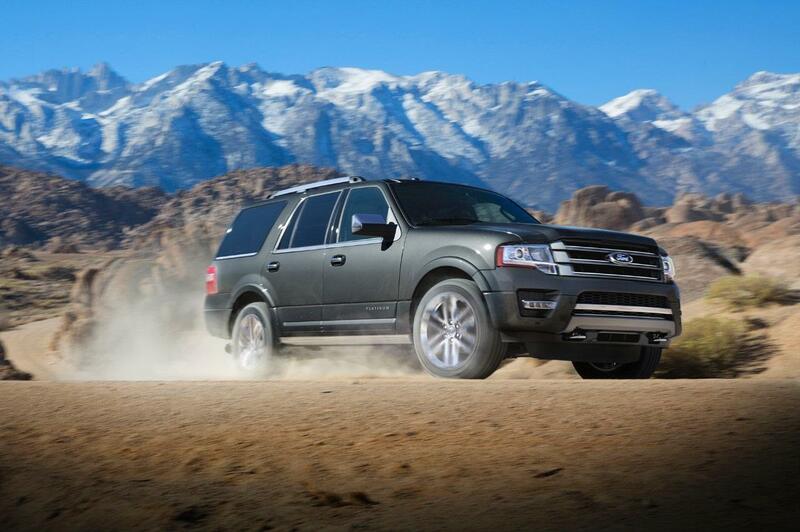 Choosing the Expedition means you enjoy greater efficiency, which is a huge plus. For excellent control, as well as solid comfort, add the continuously controlled damping system to the Ford Expedition. Numerous sensors constantly monitor 46 different motions relating to the brakes, suspension, steering, and body. In addition, drivers can choose among three damping settings. This technology in general tips the Ford vs Toyota debate toward Ford as a brand, because it will begin appearing on other models. When you're carrying a particularly heavy load in the rear, an optional mechanical rear load-leveling suspension gives the Ford Expedition an edge. It boosts handling, ride quality, and overall stability so you can drive with greater confidence. Depending on the interior configuration, both SUVs can fit up to eight people, making them perfect for big groups. When you look at cargo capacity, a difference emerges. The Ford Expedition boasts 130.8 cubic feet with the second and third rows folded down. That's more than the 120.1 cubic feet of cargo space you get with the Toyota Sequoia. With Truck Apps in the Ford Expedition, you enjoy more help with towing. It allows you to load in and display information about how to best tow different trailers, campers, etc. including trailer brake control settings. The Ford Expedition and Toyota Sequoia are both modern SUVs. That means you get many onboard technologies, making everyday life easier. One of the biggest boosts for the Ford Expedition is Sync 3. Unlike other infotainment systems, it features intuitive screen controls similar to your smartphone, such as pinching and swiping. If you don't want to take your eyes off the road, the voice control feature allows you to speak like normal, instead of memorizing strict phrases. These features top the Toyota Sequoia. Another cool feature in the Ford Expedition is available ambient lighting. The driver gets to choose from several colors for the LEDs, setting just the right mood for any occasion. In general, comparing the Ford Expedition vs the competition, you'll find it comes on top. It certainly bests the Toyota Sequoia in plenty of key areas. Learn more and schedule a test drive by contacting your Southern California Ford dealers today.